Located at the center of Toufen City, Miaoli, Elite Hotel is at 93.5 km of Provincial Highway 1, with only 1000 m from Jhunan Science Park and near Toufen and Zhunan Industrial Park. It’s only 600 m from National Highway 1 Toufen Interchange and takes only few minutes from National Highway 3 Xiangshan Interchange. The location is convenient for both business and leisure travel. 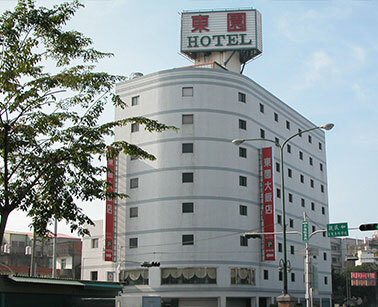 The hotel is near many renowned attractions. You can visit Shang Shun World and experience the 5D theater or visit the cultural Yimin Temple and evening market easily. There are also many restaurants serving Hakka cuisine nearby the hotel. You can try seafood at the nearby Long Fong Fishing Port. Travelers are also recommended to watch the sunset at Qiding Beach, go Yongheshan Reservoir for Tung Blossom viewing, visit ancient temple at Lion's Head Mountain, or enjoy coffee at Nanchuang. Elite Hotel offers cozy accommodation and a welcoming environment for both business and leisure travelers. Each room is decorated with warm hues and appointed with pampering details such as bottled water, coffee and tea bags, refrigerator, Cable TV, IDD phone, heating and air conditioning, toiletries and many others. The executive suite offers a separate space in the room, with desk and sofa for you to work. The hotel is fitted with indoor parking lot, fitness center for you to keep up with your workout plan, and self-service laundry for long staying guests. The hotel provides complimentary breakfast buffet for guests and PC, printer, and fax machine for business travelers. In-room free Wi-Fi, ticket booking service, and transfer service are all available. Elite Hotel also helps book flight tickets and arrange transfer service. 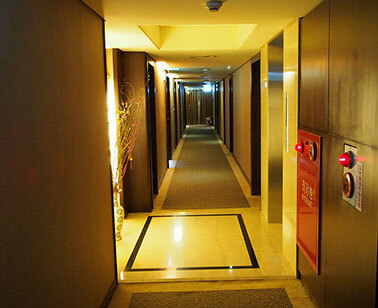 The friendly service and well-equipped facilities make Elite Hotel one of the best accommodation choices for your business or leisure Miaoli travel. © 2019 Elite Hotel. Powered by DFone.